So pleased to see that this week that the Queensland State Government committed to continuing funding of the 10,000 steps program, to the tune of $840,000! The program was established in Queensland in 2002 and is now headquartered at CQUniversity. Its key aim is to get people active and healthier by taking 10,000 steps per day. What started as a community based program, has now been copied the world over. 3,500 workplaces are registered with the program. 82,000 Queenslanders have participated in the program and logged 40 billion steps! Globally more than 153 billion steps have been logged on the 10,000 steps website and app. 20 scientific studies have been published using 10,000 steps data. Such a simple concept is really making a difference at the heart of communities, once small step at a time, and I congratulate the Palaszczuk Government for showing a commitment to healthier workplaces and communities through the funding of this program. I’ve been involved in the program before but this has now motivated me to log back on to the app and start tracking every step again. I hope you will join me as well! Greetings from the UK! Anita and I are on a short holiday to see family and friends and have a week's downtime. We were even lucky enough catch up with our son Adam who is working as the ship’s doctor on the HMAS ANZAC, while the ship docked in the UK. Next week it's back to work though and I'm off to Asia to meet with some of our counterparts at Universities in Singapore, China, Hong Kong and Mongolia. The whole trip will be about two weeks and we have back to back engagements with a number of key industry contacts, tertiary education associates and distinguished alumni. Being away from home for so long makes me really keen to get home and I am certainly excited to get back to Rocky to work on my many projects. Some of you would know I have a number of hobbies outside of work including tending to my fish tanks and the odd bit of pottery. And most recently I was lucky enough (not sure if Anita agrees) to find an absolute treasure on my way to the Bundaberg graduation back in April. This amazing old 1971 Series 2A Land Rover had been sitting for sale in a paddock near Miriam Vale for quite some time. As soon as I saw it a grand plan flashed before me and I promptly when back that weekend and purchased it … so began a new project. I’ve got some special things planned for this rig and will keep you up-to-date on my progress via Twitter. For those that have attempted a project like this you would know it’s no easy feat. You need some pretty special skills. Pulling it apart was easy but the reassembly might be a different story. I guess it’s a good thing then that I have since enrolled in a night welding short course here at the University. It was so great heading back into the classroom and learning something completely new. I love being able to learn new practical skills that I can apply to everyday life or to new projects and this welding course was a lot of fun! Welding isn’t the only course available either – there are plenty of options to choose from including barista training, cooking and beauty therapy to name a few. Check out our website for more details. The courses also great because you learn everything there and then with no take home assessments – perfect for busy people who want to gain some new skills or follow a particular interest. So why not give it a go? Our TAFE campuses in CQ have plenty to offer and I am certain that other TAFE colleges outside of our VET footprint would also offer some great courses. If you're already doing a short course or just completed one I'd love to hear about it and perhaps you could also suggest something else for me to try as well? Email me your ideas then I can report back on my experience. Today is National Sorry Day. An important day for Australian’s to reflect on the past and hope for the future. 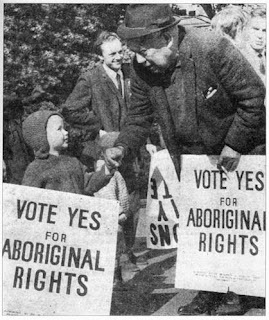 Held each year on the 26 May it commemorates the forcible removal of Indigenous children from their families and recognises the lasting impacts felt by those parents and children. Whilst the past can never be changed the future can. The day therefore should be used to celebrate the great relationships between Indigenous and non-Indigenous Australia’s in our communities and the work that is being done by so many to bring positive change and a future where we all join together to celebrate our cultures and the nation we live in. 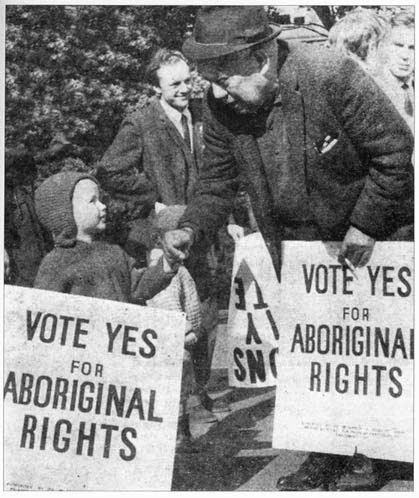 National Sorry Day also precedes Reconciliation Week (27 May – 3 June), a week that reminds us of two important milestones in the journey to reconciliation – the 1967 Referendum to allow Indigenous people the right to vote and Mabo High Court ruling in 1992. This year’s theme for Reconciliation week ‘It’s time to change things up’ really sums it all up when it comes to CQUniversity. I like to think CQUni is changing it up and doing some great things thanks to the Office of Indigenous Engagement. We are engaging with Indigenous communities more than ever and providing our many Indigenous students with enormous support. You only need to login to UniNews to see our achievements in this area – 22 stories in less than two months! What’s more there is also three Higher Education Participation Programs (HEPP), currently being carried out at CQUniversity. These programs are directly aimed at raising the aspirations of Indigenous Australians when it comes to higher education. Together at CQUniversity we are making a difference and changing it up. Great work has been done but there is still plenty more for us to do, I am however looking forward to the great things ahead. If you follow me on Twitter you would have seen that earlier this week I visited Papua New Guinea with Provost Hilary Winchester and Deputy Vice-Chancellor Nik Babovic. 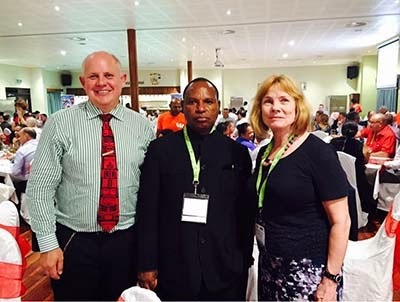 We visited the country for two reasons - one to attend the Australia PNG Business Forum - and two, to meet with our counterparts at the Papua New Guinea University of Technology (UniTech). Attending the conference was a real eye opener when it comes to understanding relations between our two countries, and linkages that exist with regards to skills and industry. PNG is so close to Australia and we learnt that this proximity alone means there are many opportunities for us to work together more closely - particularly when it comes to education and training. This thinking is particularly relevant to what we discussed with UniTech, by way of forming mutually beneficial linkages between our universities and specifically providing capacity-building capability from CQUni to UniTech. Some of the initiatives agreed upon during our talks included CQUni mentoring and networking with senior leaders within UniTech (with a particular emphasis on female staff), and investigations into a potential accredited pilot program in logistics, to commence by distance learning, with local support in Lae. Other areas of support being investigated include human resource policy, academic and research policy, quality assurance, management and leadership training, teaching systems, and student administrative processes. All in all, I think this was a very successful trip and I can see many ways that CQUniversity can help UniTech in the future. Likewise i think there is also many ways that UniTech can help us. CQUni has recently been heavily focused on expanding our presence in North Queensland and serving communities in that region. This area is so important to the future of Australia and in years to come will be a national powerhouse when it comes to industry and innovation. I could go on and on but instead I'm going to share the below speech with you. 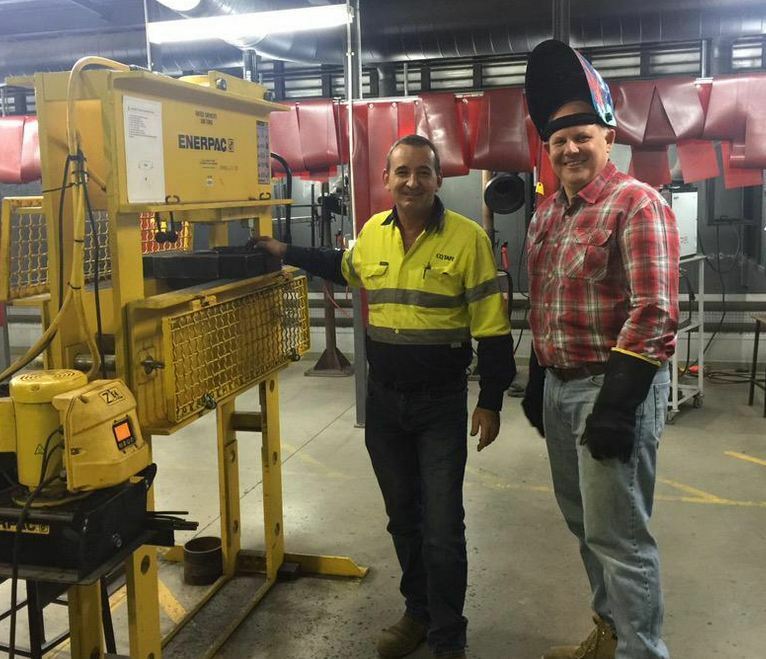 The speech was delivered to Parliament by Scott Stewart, the State MP for Townsville. I think this sums it all up when talking about CQUni's presence in NQ and how important this region is for the rest of Queensland and Australia. "I would like to take this opportunity to inform the House of a recent event in the Townsville electorate that I attended along with the member for Thuringowa and the member for Burdekin. 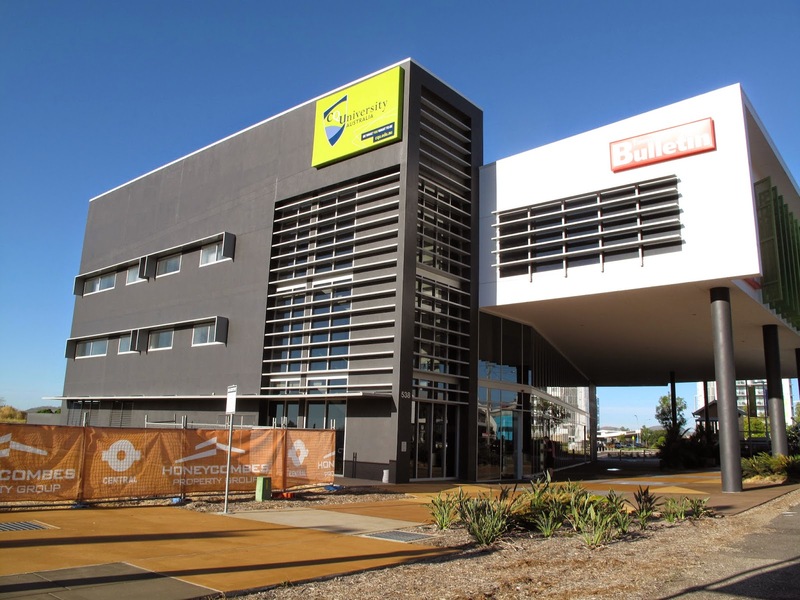 On 28 April I had the pleasure of attending the opening of the Central Queensland University’s Townsville campus, which is located in the Townsville CBD. While the campus is somewhat of a symbol of infrastructure and development in the city, the campus is more importantly a symbol of evolution in the north. Vice-Chancellor Scott Bowman officially opened the $3 million campus, which was the vision of Mayor Jenny Hill and businessman Peter Honeycombe, who not only saw the need for a second competing interest in tertiary education in the city but also saw more the ideal of creating opportunities for greater progress and development in the north. The university has positioned itself in Townsville as it sees the potential that the northern region of Queensland has and foresaw the need for some specific courses that are not available to students currently living in Townsville. The campus will support more than 600 current distance education students and will allow growth in face-to-face programs including paramedic science, nursing, law, education and psychology. The Townsville campus includes large teaching spaces for class and residential schools, computer and videoconferencing labs, a paramedic science lab, a library, staff offices, study spaces and a reception area. Not only will the campus support face-to-face learning, but students can also access a range of extended services including careers advice, counselling and scholarship support. More importantly, the CQU Townsville campus will create opportunities for students living in rural and remote areas in North Queensland to access university courses. With the potential to develop partnerships with a range of industries including defence, health and education, CQU are interested in creating opportunities to extend the learning and skill development for people of the north. Knowledge is the new commodity and Australia is abundant with this resource and, by tapping into the NBN infrastructure, learning will become more accessible through a range of modes. More importantly, CQU understand the importance of Townsville as a strategic hub not only for North Queensland but also for Northern Australia. Its geographic location, climate and supporting infrastructure provides the ideal location as a northern staging point for future trade and development. Recent predictions of the world's population indicates that by 2050 more than half of the world's population will be situated in the tropical zone located between the Tropic of Capricorn and the Tropic of Cancer. This will mean that in excess of five billion people could be living in the tropical band around the world. This will present the world with some significant challenges including issues such as adequate shelter, food supply, health services and education delivery, just to name a few. As a state we need to think and plan for our role in being able to support the world's population living in such a small and confined area in only 35 years time. As a state we need to think about and strategically align ourselves as a primary producer, enabling us to be a viable and sustainable food supplier. Our cattle industry is on the cusp of rapid expansion as the Asian markets are showing increased interest in the quality of our beef. The recent increases of live exports through the Townsville port show that we are able to supply the world’s dining tables with high quality beef exported from the north. It is the same Port of Townsville that is going gangbusters and exporting live exports to neighbouring Asian countries that the former LNP government wanted to sell to the highest bidder. Similarly, we need to continue to develop world-class healthcare practices that will meet the needs of our own communities and those of our neighbours. JCU, and now CQU, are providing for the future with highly trained and skilled healthcare workers that will meet the needs of our growing population. The Townsville General Hospital currently provides service to over 600,000 people living in Northern Australia and close countries including Papua New Guinea and the islands of the South Pacific. It is imperative that we continue to be at the forefront of healthcare services for the people of North Queensland. By having CQU establish a campus in Townsville, it encourages our school leavers to study in the city in which they live and thereby they are more likely to transition to work in that same city. More importantly, it provides confidence in the wider community so that investment and development will help reignite the economy that has been left floundering over the last three years. We welcome CQU to Townsville knowing that it will not only serve our city but empower future generations to meet the challenges of living in a world that is ever changing and ever challenging." Here at CQUniversity we pride ourselves on being innovative. Innovation is at the heart of our research, engagement, teaching and business practices. Striving for innovation is a driving force behind everything we do and a core value that can rouse a strong institution like ours to move from strength to greatness. Like so many things, innovation starts as an idea. Ideas have the potential to inspire, motivate and transform us. Almost everything we have, everything we are, we owe to an idea (often simple) that started small and flourished into something big. So when does an idea become innovation? What makes an idea big? In 2014, a team of CQUniversity students took an idea and transformed it into something much bigger. Engineering students Mattison Rose, Jessica Kahl and Angus Hughes harnessed the concept of a simple Pallet House and created a social enterprise called The Shelter Project. The newly formed social enterprise will employ disadvantaged Australians to assist in the construction process of disaster relief shelters, providing training, self-esteem, confidence and skills to assist in transitioning to further employment. A big idea was born. 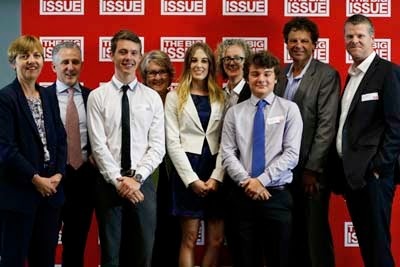 In fact, the idea was so big that the team won first place in The Big Issue’s ‘The Big Idea’ competition, securing business development opportunities and making us all very proud. Now we’re calling on the next generation of innovators and entrepreneurs. CQUniversity students with an idea or an interest in joining the competition are invited to register at thebigidea@cqu.edu.au. All students are encouraged to register for this unique opportunity and develop their idea with the help of mentors as part of the competition. I’m so pleased to be supporting this competition again in 2015 and I can’t wait to see the ideas and projects that are generated by our students. Last year was the first time a team from CQUni entered the competition and our students beat out entries from some of the largest and most prestigious metropolitan universities in the country. What’s more, the judges were astounded by how one simple idea that started in a backyard in regional Queensland could literally change the lives of many and bring hope to communities who have been devastated by disasters. The Shelter Project is the embodiment of our giving back philosophy at CQUniversity and is another reason why CQUniversity is emerging as a great Australian university. Do you have the next big idea? Do you know someone who might make a great candidate? If so, encourage them to sign up. For more information, visit https://my.cqu.edu.au/group/student-portal/the-big-idea. For some added inspiration have a look at this video about Jessica, Mattison and Angus’ journey last year. Wow, what a great effort from everyone this week! Our simultaneous campus fundraising lunches raised a grand total of $16,393 for Nepal earthquake relief. This is on top of the $10,000 already donated by the University, to Rotary, for emergency shelter kits. On top of this the media coverage about our fundraising efforts also led to a member of the public donating a further $1,000 to our fundraising tally! I am so proud of everyone who made a donation and pitched in to help yesterday - it just goes to show what we can achieve when we all work together. Combined with funds already donated to Rotary by staff and students following the earthquake, I am confident that our efforts will lead to almost $30,000 being channeled into emergency relief shelter boxes for Nepal. As well as monetary donations I am also aware of staff within the Nursing school collecting clothing and other items to ship to Nepal. This commitment to helping communities in need - even those that are so far away is what makes CQUniversity such a great university! Thank you to everyone for showing your support and getting behind the beautiful country of Nepal and it's amazing people, many of whom also call CQUniversity home. CAIRNS: It appears you can win friends with salad. Looks like the tropical sunshine in Cairns inspired some lighter choices for their lunch. CAIRNS: The health conscious Cairns crowd contributed a princely sum to the fundraising effort - even with salad on the menu. 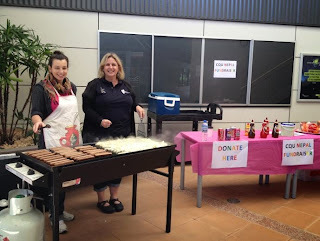 TOWNSVILLE: Our newest campus fired up their new BBQ and put out prayer flags to raise a nice chunk of money. MACKAY: A strong crowd in Mackay led to plenty of funds being raised. ROCKHAMPTON: Rocky staff and students (as well as the community!) came together and to raise money and enjoy a snag or two. EMERALD: Being one of our smallest campuses didn't stop Emerald from contributing a mighty sum to this fundraising initiative. GLADSTONE: Even without their fearless leader, Professor Owen Nevin in charge (he's in Kazakhstan tracking snow leopards), the Gladstone team still managed to raise lots of cash. GLADSTONE: The look of satisfaction only a sausage, caramelised onions, BBQ flavoured sauce and white bread can bring. BUNDABERG: A great effort for our Bundy staff and students who braved the cold (21 degrees) to eat sausages and donate money. BUNDABERG: The DFM team leisurely cooking the snags while the line grows longer. NOOSA: What's that on that table? Coke, creaming soda and lemonade... Noosa, where is the wine? BRISBANE: Another stack of cash was raised in Brissie. Success that can be attributed to the fact they served an authentic Nepalese feast. Now I'm hungry. MELBOURNE: The Melbourne crew managed to raise a pile of cash thanks to a lunch and silent auction. Well done! ADELAIDE: Adelaide staff enjoy their stylish alfresco area. ADELAIDE: Jenni and Brad are all smiles after lunch. (Seriously, look at that alfresco space - complete with decorative bamboo, looks like one of the terraces on the Block). SYDNEY: I saved the best for last here. Hats off to the Sydney campus who have raised $4,155 in the last week thanks to their lunch and other activities. What a fantastic effort! If I was giving out prizes I would give one to Sydney but I'm not, so they'll just have to bask in the glory of being the fundraising champions of CQUniversity. There have been few times I have been as proud of the CQUniversity community as I have been over the last two weeks, watching how we’ve responded to the devastating earthquake in Nepal. The way our colleagues have rallied around our 700-strong Nepalese staff and students during their time of profound grief and sadness has been truly amazing. It surely is a mark of a great university. I have been overwhelmed with the response I’ve received from our Nepalese staff and students to the University’s initial donation of $10,000 towards Rotary Emergency Shelter boxes, along with the support mechanisms we have put in place for those personally affected, and the spontaneous morning tea fundraisers that have sprung up around some of our campuses. Tragically, the death toll in Nepal is still climbing - in fact, it has tripled since the University’s initial response. As the full scale of the tragedy becomes more clear, many CQUniversity staff and students have been looking for ways we can do even more for Nepal. 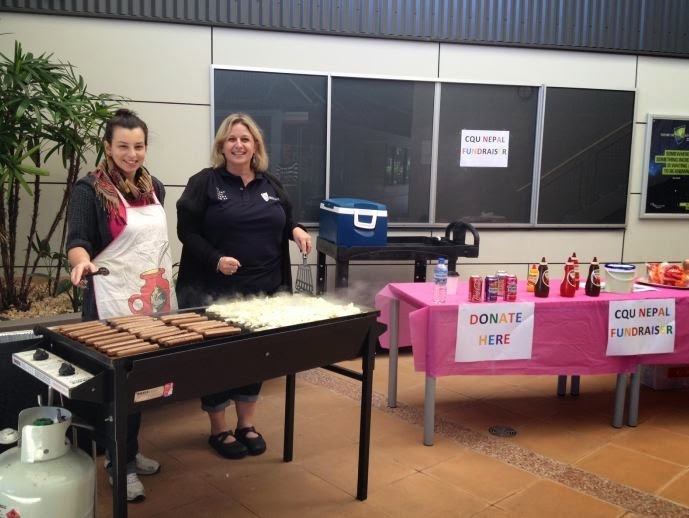 Dannii Battersby, a School Administrative Assistant who works at our CQIRP facility in Rockhampton, alongside many of our talented Nepalese staff, put her hand up to hold a BBQ on her campus to raise money for more Rotary Shelter boxes. One thing led to another and Dannii’s idea has now become a campus-wide simultaneous lunchtime fundraiser, with most of our campuses hosting a lunch on Thursday at 12pm – 1pm. I urge all staff and students to take an hour out of your busy schedules and head to your closest lunch time fundraiser – there is one being held on almost each of our campuses. Bring a pocket full of gold coins (or notes!) and join with your colleagues not only to reflect on the terrible tragedy that has fallen on Nepal, but also to celebrate the wonderful contribution our Nepalese students and staff make to our great university. Heartfelt thanks to all organisers, and to everyone who supports this worthy cause. This week has been a big one for the University with our sponsorship of Beef Australia 2015. This is a major international event held in Rockhampton every three years and while it might be held in central Queensland it reaches much further afield. In fact this week we’ve met people from places like New Caledonia, Mongolia, Argentina and Uruguay. While we have been affiliated with Beef Week in past years, 2015 has been the year that we have had our biggest involvement as a supporting partner. This has been great as it’s meant we have been involved in a series of major program events, as well as having a major presence with prominent expo display. The networking has been great and we have also had a huge number of program enquiries. I’ve also eaten my weight in steak. Highlights of the week for me would have to be the CQUniversity Beef Industry Symposium on Monday and yesterday’s breakfast to launch our new Bachelor of Agriculture program. Yesterday’s launch attracted more than 80 industry leaders, teachers and students and the feedback received afterwards was fantastic. Tomorrow is the last official day of the Beef program and we will be hosting a group of South American industry leaders and researchers at CQIRP – such a great opportunity for engagement. I hope everyone who’s been has enjoyed their week. Looking forward to the next event in three years!